In the category soldering technology, our shop offers a vast assortment of tools, materials and utilities for soldering components and creating electronic circuitry on circuit boards. The selection includes soldering irons, solder stations and tin-solder for precise and clean solder work. Digital solder stations allow for accurate temperature settings and are available in different performance classes. For tinning of components and soldering of entire circuit boards in a single process we provide soldering baths of various volumes and sizes. Soldering work on components of diverse sizes and shapes is made easy by our different soldering tips. 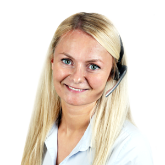 The selection in the category soldering technology is rounded off by electronic solder, tin-solder, boards’ utilities like storage shelves, dry sledges and desoldering devices. 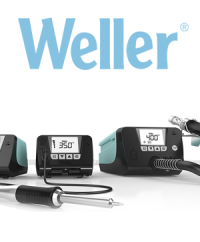 High flex­i­bil­ity for ver­sa­tile ap­pli­ca­tions – the WT Line from Weller! New products for our range of soldering technology! 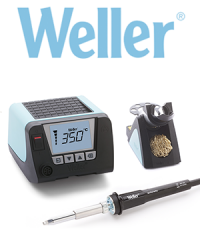 Weller is one of the renowned manufacturer for soldering technology. The company for a quality management system that satisfies the highest demands.